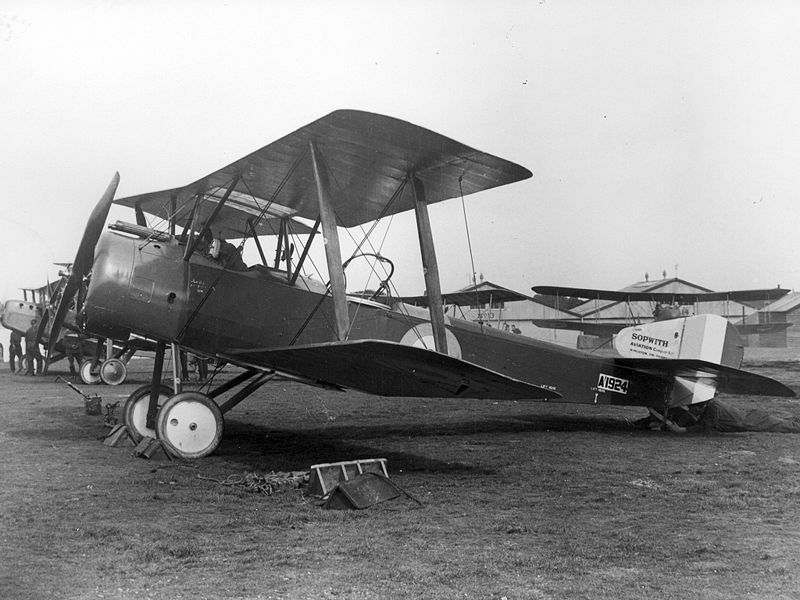 Yes, this is a Sopwith 'One & a Half' Strutter - the "W" shapes of the struts above the cockpits gave the aircraft its name. The serial no. seems to be N 5249; the 'N' prefix means it's a Navy aircraft (not that the RAF used them by 1921)& it could be from one of the early aircraft carriers. Just to let you know that this negative what not recorded in the Aerofilms Ltd Register (the reference number was written on the plate/housing). 7180 and 7182 were recorded as "Eastwell Park"; both those glass plates were lost/destroyed in the past. I wonder if Aerofilms Ltd allocated the number 7181, or re-used it, for a glass plate slightly out of sequence? Could the image be overseas? Glass plates 7027 - 7133 are from a trip from Kent, across France, to Spain (possibly associated with aircraft disposals ferrying, although that is conjectural - see Alan Cobham's memoirs). Could it be Derbyshire limestone? But Cheddar sounds feasible, too! 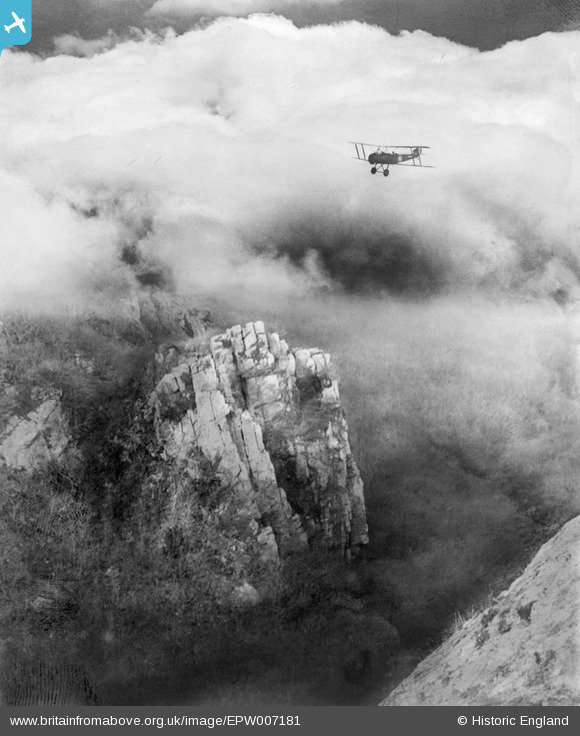 Could this be Harrison's Rocks near Tunbridge Wells? Yup - I think you're right Class31 - Cheddar Gorge - about mid way down before you enter Cheddar itself. I think this is more like Dovedale than Cheddar, I can't match this to any crags at Cheddar, especially the close proximity of the rock shown bottom left. Thank you for your suggestions everyone! If you are reasonably confident that this is Cheddar Gorge, please pin it on the map for the Cataloging Team. Just a punt. Any thoughts on Cheddar Gorge? My first thought was Cheddar Gorge too. My guess would be the upper rim of Cheddar Gorge, say near 57deg 17'07N 2deg 45'28W, where there is severe erosion of the rim and decided vertical fissuring of the Carb Limestone. The curious thing is the distance from the location of the rest of the shots on this trip - but then, they could have decided on a 'jolly'! The jointing of the rock looks more like limestone - the lower Wye Valley, limestone dales of the Peak District and indeed Cheddar Gorge would be candidate search areas. Somewhere in the Peaks - Dovedale? Ilam Rock, Tissington Spires?